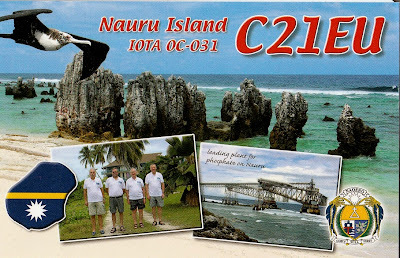 Qsl card from C21EU Nauru Island. 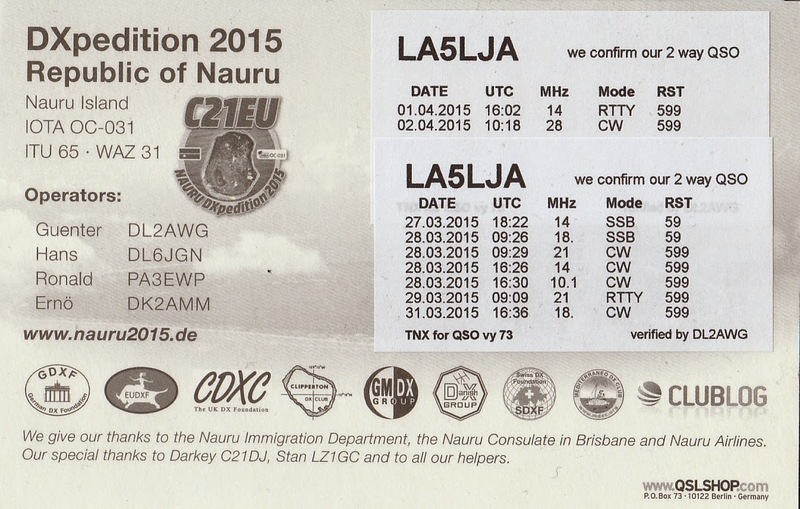 A great dx-pedition,this guy's know when to be on for Europe. They was giving me #334 for Honor Roll ssb,and #337 total ssb mode. 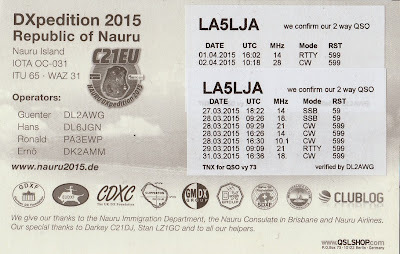 Have for years tryed to get this dxcc on ssb, and finally ,big YESSSS..
3B9/EA5IDQ on 12-17-20 rtty. Big thanks a OQRS request will be done. 5Z0L on 10cw/ssb-12cw/ssb-15rtty-17cw. Italian dx team is on again. YB4IR/7 on 12 cw, this time Iman is on iota OC-268. T88TJ it is JR1FKR worked on 17 + 20 mtr rtty, TU.